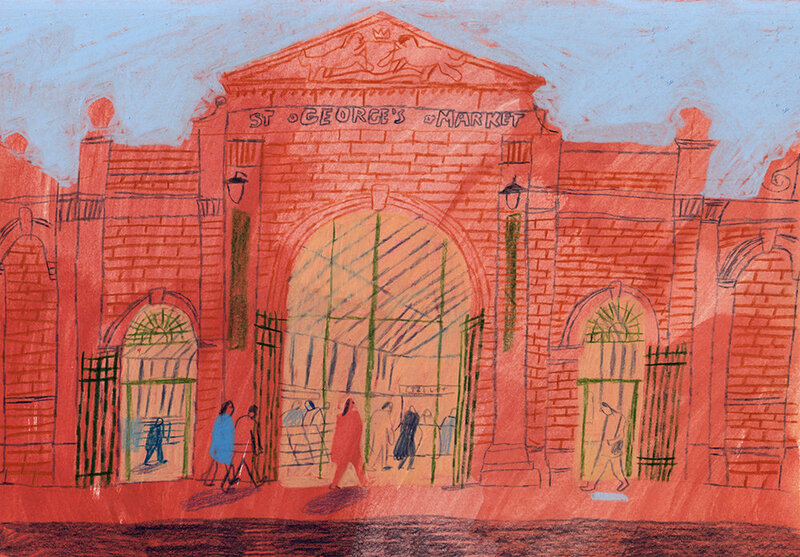 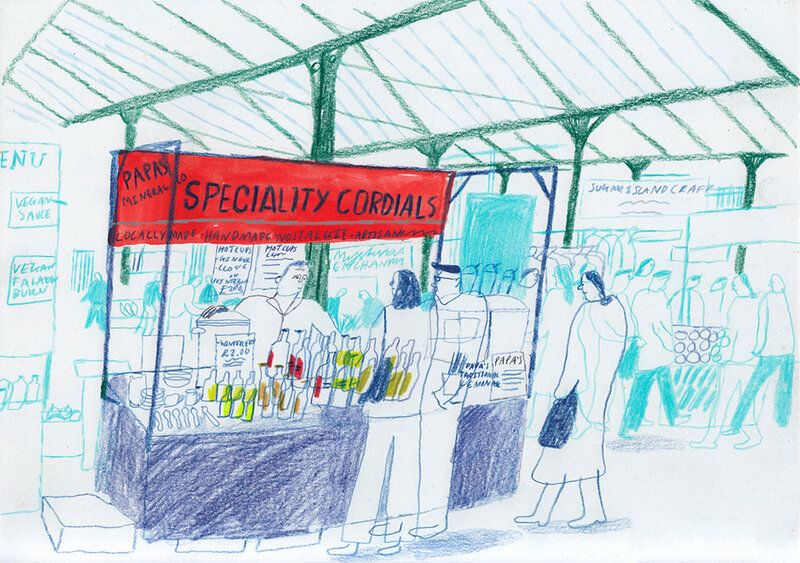 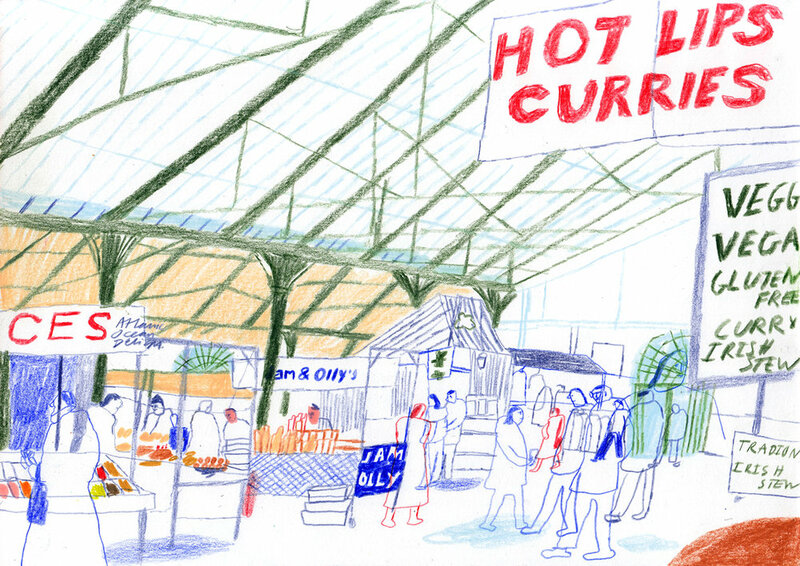 St Georges Market Belfast Reportage drawings for Vice x Visit Britain. 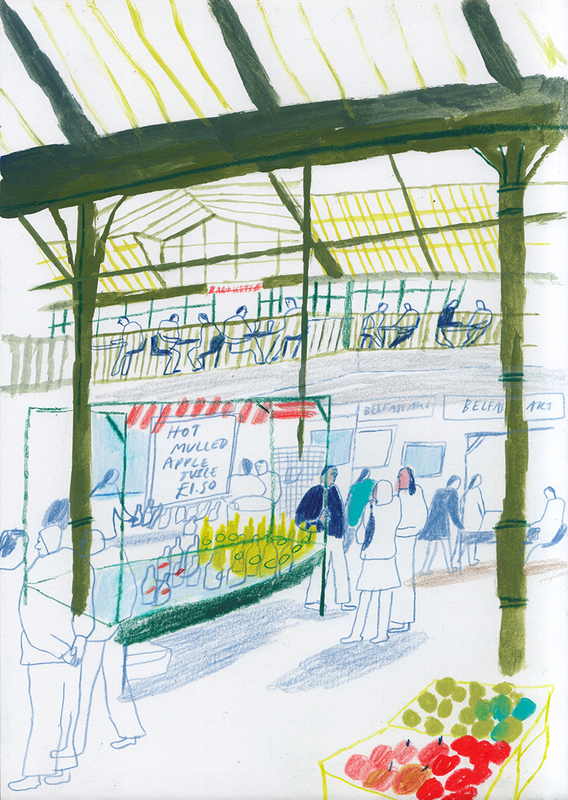 Series of drawings from a days location drawing at St Georges Market, the last surviving Victorian covered market in Belfast, Northern Ireland. 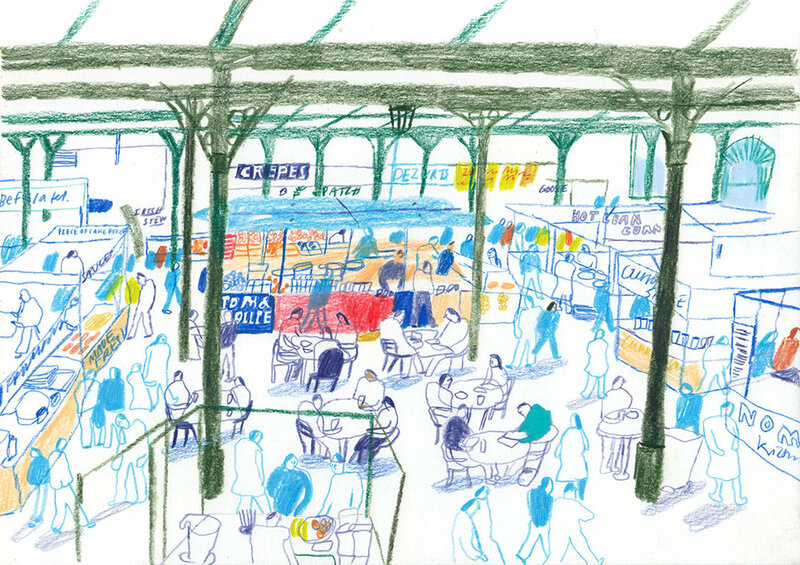 Commissioned by Vice and Visit Britain to sit alongside an online editorial aiming to encourage people to travel within the uk.